Josie Mielke. Photo by Anne Fitten Glenn. The western part of North Carolina was historically known as the moonshine capital of the world, and it’s still easy to track down the illicit spirit. Yet now there are legal moonshine and liquor distilleries—as well as a wide array of bars, wineries, and breweries. With 30 craft breweries inside the city limits and a population of around 90,000, Asheville has one of the highest brewery-to-population rates in America. While so-called Beer City, USA, has long been a tourist destination, the mountain town’s reputation for great food, drink, and recreation now attracts more than 10 million visitors annually, according to the Asheville Convention & Visitors Bureau. Not long ago, much of the city’s downtown was vacant. But significant investment in the area both by government and by individuals has dramatically changed that, especially over the past decade. These days, the majority of Asheville’s food and beverage businesses are locally owned. There’s a strong cultural resistance to chain stores in the former frontier town, and a corresponding preference for supporting enterprises owned by friends and neighbors. Eating and drinking local has always been mainstream in Asheville. And that tradition, paired with clean, plentiful water from underground glacial lakes, access to growers, and the beauty of the surrounding mountains, attracts maverick and entrepreneurial personalities to the beverage industry. 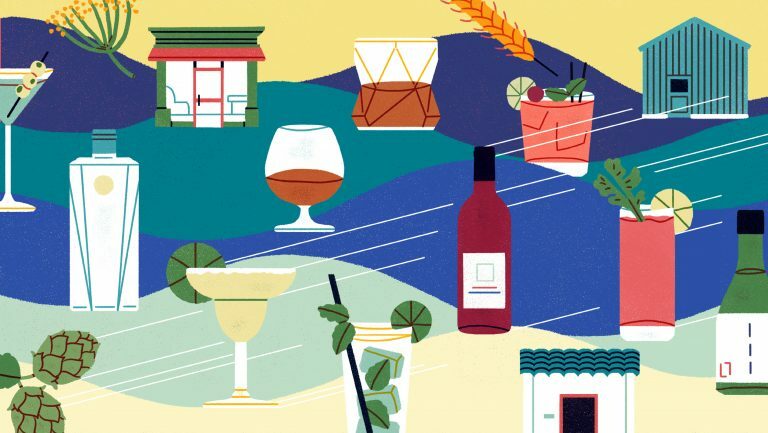 From a forward-thinking brewer who eschews modern equipment to a creative bartending dynamo who incorporates local vegetables, herbs, and spices into his cocktails, these are five of the rising stars transforming Asheville’s drinks scene. Jeffery Horner. Photo courtesy of Brouwerïj Cursus Kĕmē. 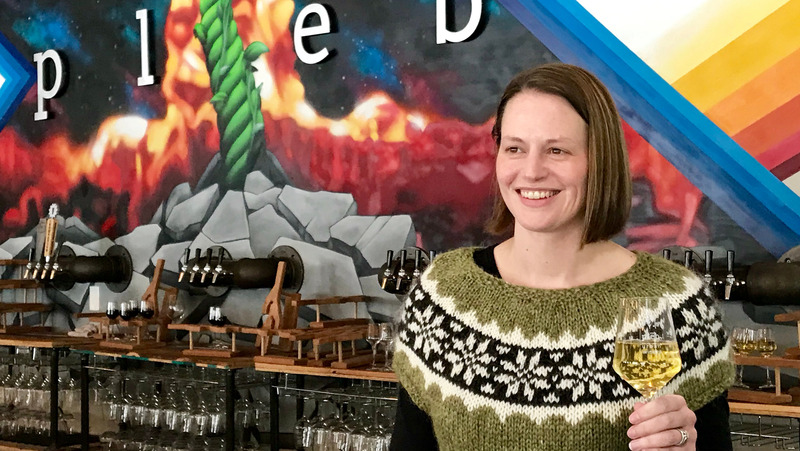 While Horner is an experienced commercial brewer and has been developing the concept for his brewery for several years, Brouwerïj Cursus Kĕmē burst onto the Asheville scene with an unusual approach and methodology that stemmed from Horner’s disdain for modern equipment. His mash-lauter tun is a wooden foeder that he cut in half. The wort is pumped into a specially fabricated copper kettle over a hand-bricked firebox. Horner brews over direct fire, either cordwood or charcoal. The majority of his beers are then fermented in oak foeders, puncheons, or barriques—old-fashioned wooden casks. He creates both unique and traditional beer styles. One of the brewery’s best sellers is an open-fermented, oak-based brew. “People have a hard time believing that it basically is unhopped,” says Horner. “All the esters are fermentation derived—just local microflora.” Next on Horner’s agenda is to add a full food program to the brewery, and to continue clearing the the three-acre property and expanding the beer garden. Josie Mielke. Photo by Lynne Harty. 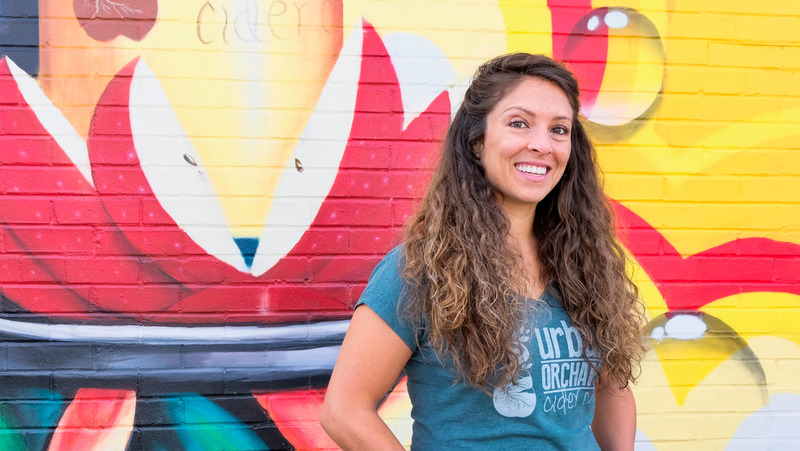 Urban Orchard produces a variety of cider styles, from dry to sweet, as well as creative blendings with locally grown fruits and vegetables. Henderson County, right down the road, is the top producer of apples in the state, and one of the top 10 apple-growing regions in the country. “So far,” says Mielke, “we’ve never purchased juice outside of Henderson County, and we hope not to have to. 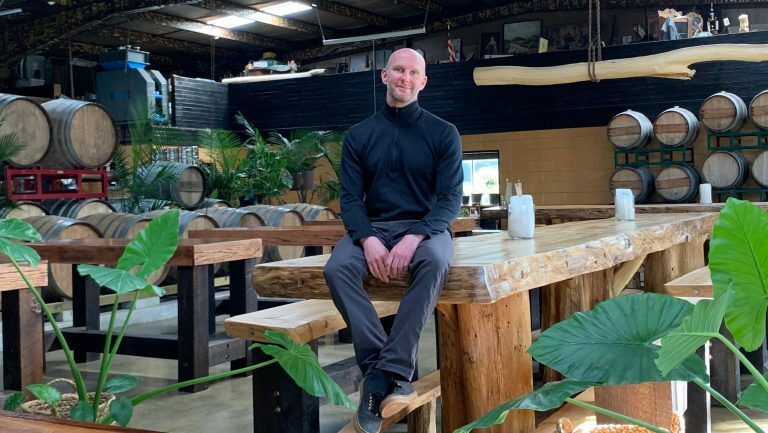 One of the greatest points about cider is that it can be completely local.” Mielke also offers cider-based cocktails in the taprooms. “I love coming up with flavors that go together,” she says. “The most fun part of this business is coming up with new recipes.” After a breakneck path of expansion the past few years, Mielke is looking to broaden distribution as well as explore packaging options for Urban Orchard’s cider, which currently is draft only, though she notes that her first priority is to optimize revenue and growth in both taprooms. Chall Gray. Photo by Lynne Harty. 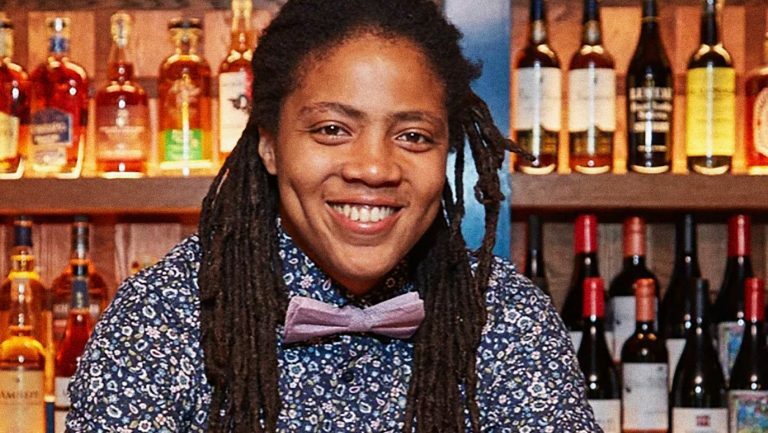 As the owner and operator of two bars herself, Kristie Quinn knows a great one when she sees it, and she says that Chall Gray has created “the classic neighborhood bar” with his partners, Lucia Gray and Jay Sanders. 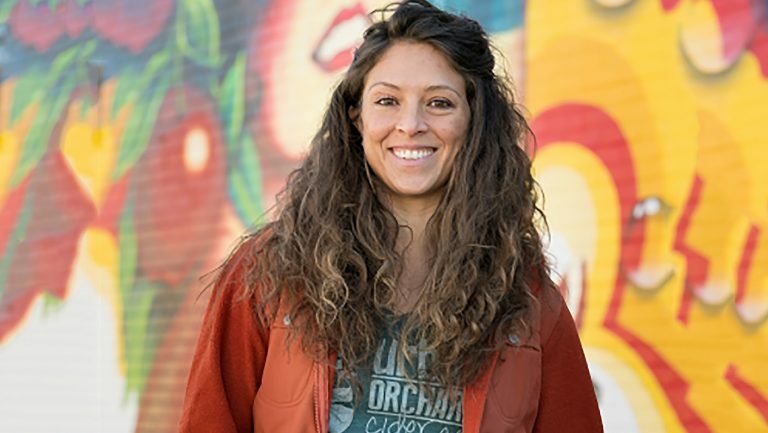 “Chall understands the hard work that goes into a small business,” she says, adding that he also works hard to “bring great things to the community.” When Quinn is not at one of her own bars, she is usually hanging at Little Jumbo. 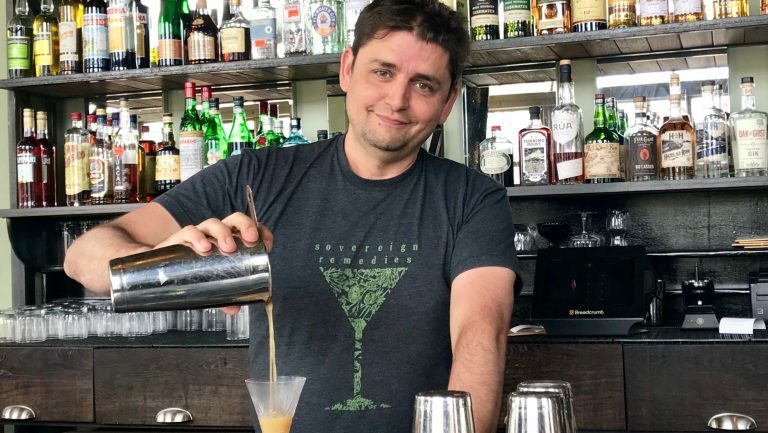 Gray gained national cocktail bar cred when his book, The Cocktail Bar: Notes for an Owner & Operator, was published in 2018. As he was writing it, he and his partners were also renovating a historic 1920s Asheville building, transforming it into a bar. Little Jumbo is the seventh bar that the 34-year-old Gray has opened or helped open. 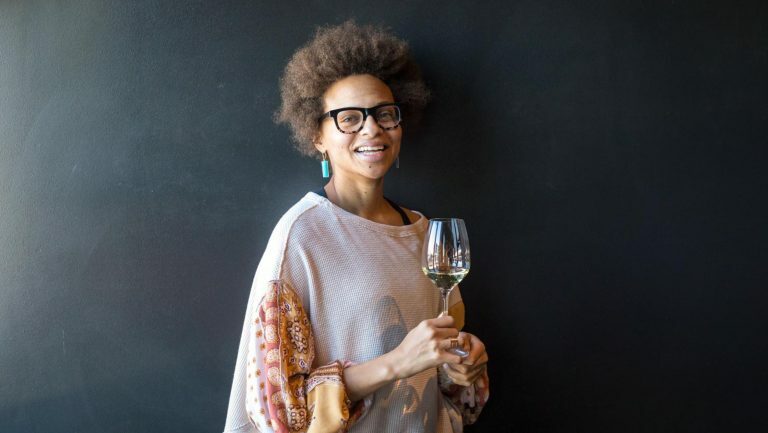 “We have a great and cosmopolitan beverage scene in Asheville already,” says Gray, a native of Asheville. “Little Jumbo is a neighborhood bar that happens to have great cocktails. 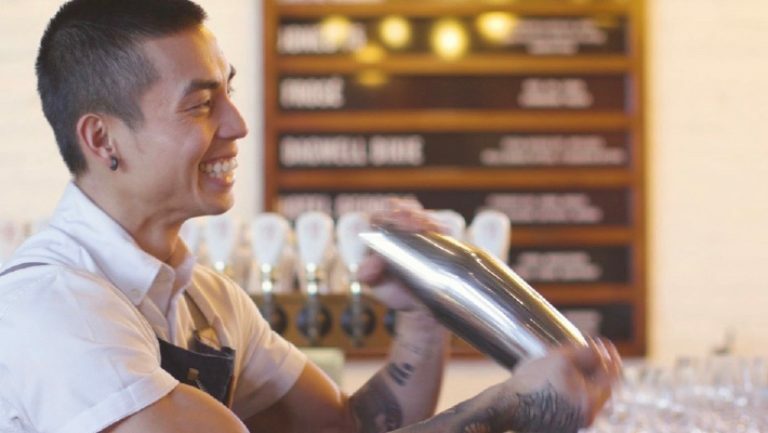 To me, it’s more important that we’re there for the person around the corner than for the tourists.” The bar’s name pays homage to Gray’s bartending hero, Harry Johnson, who wrote a seminal bartending manual in 1882 and who owned a bar called Little Jumbo in New York City’s Bowery neighborhood. Charlie Hodge. Photo by Anne Fitten Glenn. Hodge worked at bars in Portland, Oregon, and in Palm Springs, California, and Los Angeles before moving to Asheville in 2011. “In L.A,” he says, “I had the amazing opportunity to work with Alex Day, the most superhero bartender ever.” He worked at two established Asheville restaurants before opening Sovereign Remedies with his life and business partner, Sunil Patel, and their families, in 2014. Seasonality is a core principle of the bar’s cocktail menu. 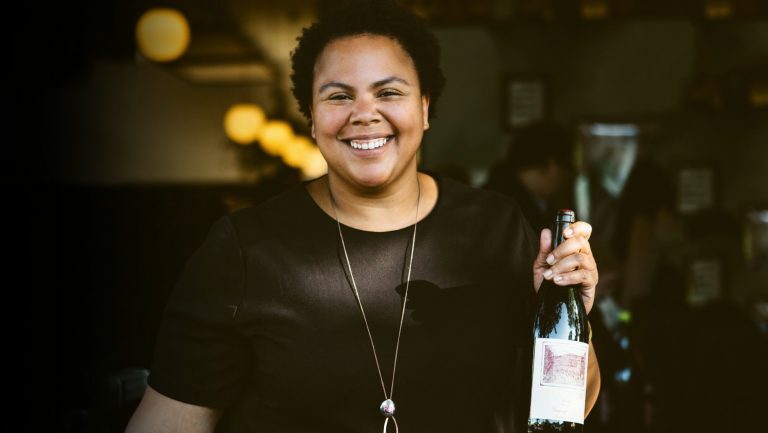 Hodge uses local vegetables, herbs, and spices, with support from Patel, the founder of Patchwork Urban Farms, and the Herbiary, an herbal and essential oils shop next door to the bar. The name Sovereign Remedies originates from the Appalachian custom of making home health remedies using locally foraged and farm-grown ingredients. These family medicinal infusions were historically called sovereign remedies. 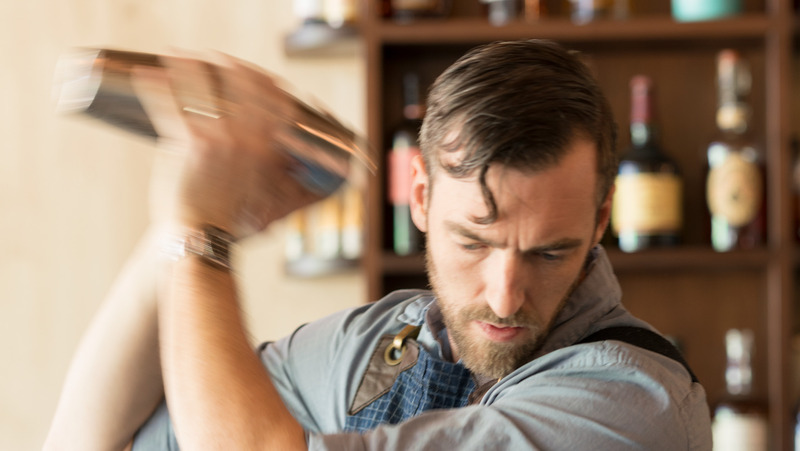 Hodge uses mountain-grown ginseng and turmeric in a spring gin and tonic, for example, and local sarsaparilla, burdock, and dandelion in his renowned Root Daiquiri. Hodge recently purchased Ole Shakey’s Getaway, a riverside dive bar, mostly to keep the spot open for the longtime locals. “We really try to navigate how to respect the past, and the people who had been part of that space for a long time, while welcoming the new,” he says. “My partner there, Morgan Hickory, is brilliant at bringing in people of great diversity, whether sexual, ethnic, economic, or whatever, and making them feel like part of the family.” Hodge added wine and liquor drinks to the existing beer menu at Ole Shakey’s and extended the hours to 2 a.m. nightly “because,” he says, “I believe a bar should be open until 2 am—no matter what.” His next project is Make Space. After Hodge partnered with the chef Graham House in 2016, the Sovereign Remedies menu became a favorite with locals and tourists. Hodge wants to give House more space to diversify his offerings as well as provide a commissary kitchen for local food trucks and caterers. Anne Fitten Glenn is a writer, reporter, and communications consultant based in Asheville, North Carolina. She has authored two books: Western North Carolina Beer: A Mountain Brew History and Asheville Beer: An Intoxicating History of Mountain Brewing. Glenn has been writing about business, food, and beverages for more than two decades. Follow her on social media at @brewgasm.